As this is my very first blog I thought I should start with some background information. 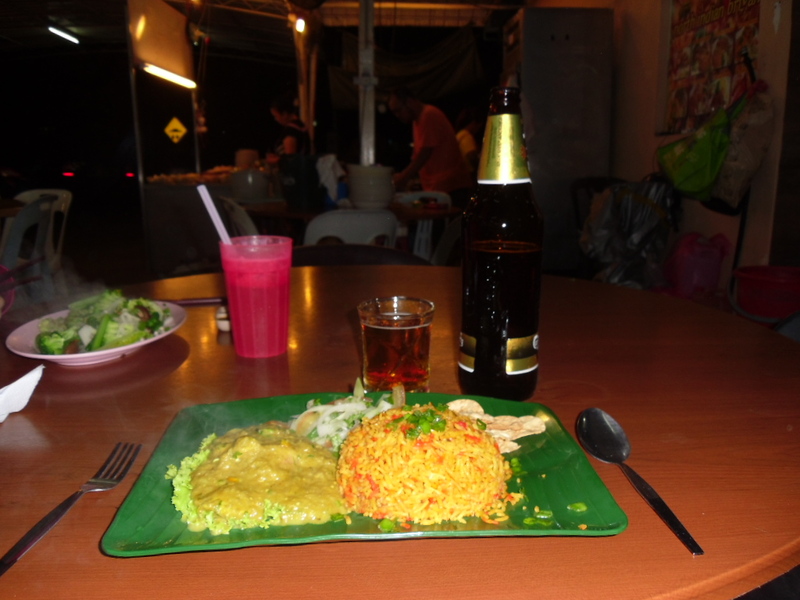 Janey (my girlfriend) and I moved to Penang, to take up EFL teaching positions, a little under two months ago. For those that don’t know Penang is an island located off the north-west coast of peninsular Malaysia. Despite it’s relatively small size the island has established itself as an essential destination on the itinerary of many a tourist to Malaysia. The reasons for this are many and varied. The capital Georgetown is a UNESCO world heritage site, mostly down to it’s incredible architecture. At Batu Ferringhi, one can enjoy the kind of beautiful beach that is more associated with neighbouring Thailand. However, for many people the real highlight of a visit to Penang is the food which is reputed to be amongst the very best in Asia. When we first told friends that we had been offered jobs in Penang, the initial response of anybody who had previously visited here was to wax lyrically about how amazing the food is. After spending the last eight weeks sampling as much of it as is physically possible I certainly wouldn’t disagree. The principal reason for Penang’s gastronomic excellence lies in the incredible ethnic diversity of the island. Large Chinese and Indian communities have lived on the island since the days of British colonial rule, allowing their cuisines to supplement ethnic Malay favourites such as Nasi Goreng. The proximity to the Thai border also ensures that some truly spectacularly hot dishes can be consumed. My first encounter with a Thai noodle soup, named Laksa, left me feeling like I could see through time. Furthermore, when you consider that it’s also possible to find Japanese, Korean, Moroccan and even Bulgarian restaurants here, you get some idea of the culinary diversity of the place. 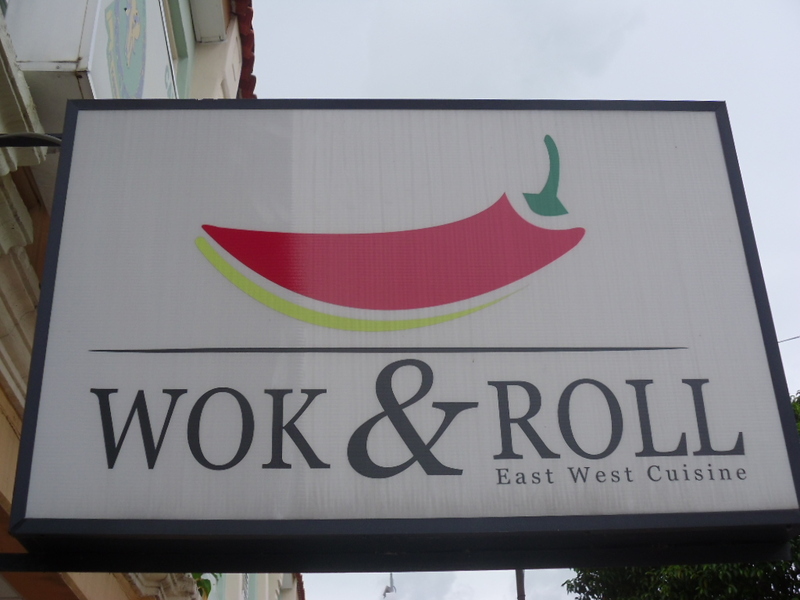 Despite the undoubted excellence of many of these restaurants, they are most definitely not the best place to eat in Penang. As with any Asian city the best flavours, and value for money, can be found by trying the street food. In Penang this is condensed into large hawker centres. These are basically big outdoor market places where it’s possible to try pretty much all of the aforementioned cuisines. If these places existed in England, over-officious health and safety muppets would have them closed down within a day. But this is the Orient, and such concerns don’t exist over here. And thank heavens for that. Not only is the food of a superb quality it’s also ridiculously cheap. A standard dish at a hawker centre will usually set you back about 5 Malaysian ringgits. That’s about £1 or less than 2 USD! It’s difficult to recommend any dish in particular, such is the choice. However, some perennial favourites are worthy of consideration. Claypot chicken rice does what it says on the tin. It’s chicken and rice cooked and served in a clay pot, topped off with egg and Chinese sausage. Definitely one to be consumed when you’ve worked up an appetite. Bee Hoon is a type of noodle dish which can be enjoyed with fish, seafood and / or mixed vegetables. Some great steamed vegetable dishes exist for those of a vegetarian persuasion. Be careful to explicitly ask if they contain any meat or fish though. As the title suggests, and as all those friends rightly stated, this truly is a food heaven. It’s going to be difficult to ever pay restaurant prices again! 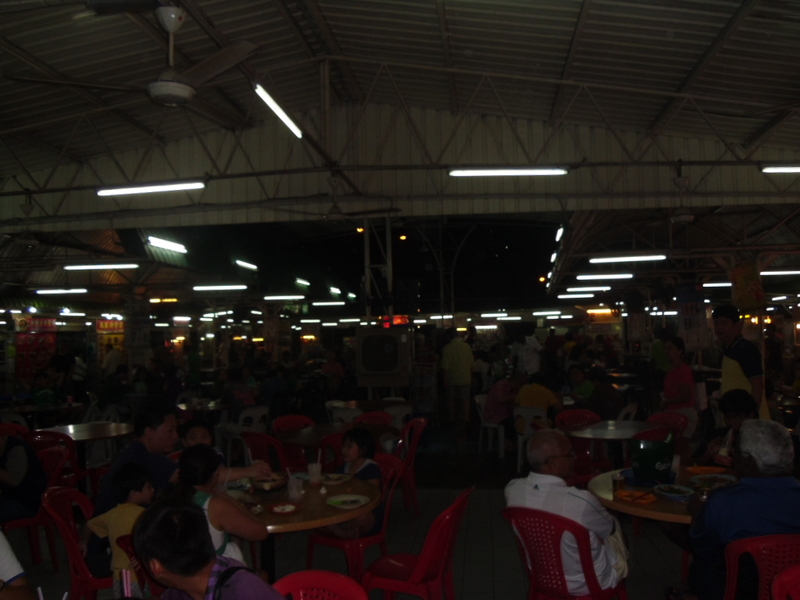 Hawker centres are scattered across the island and are all pretty good. 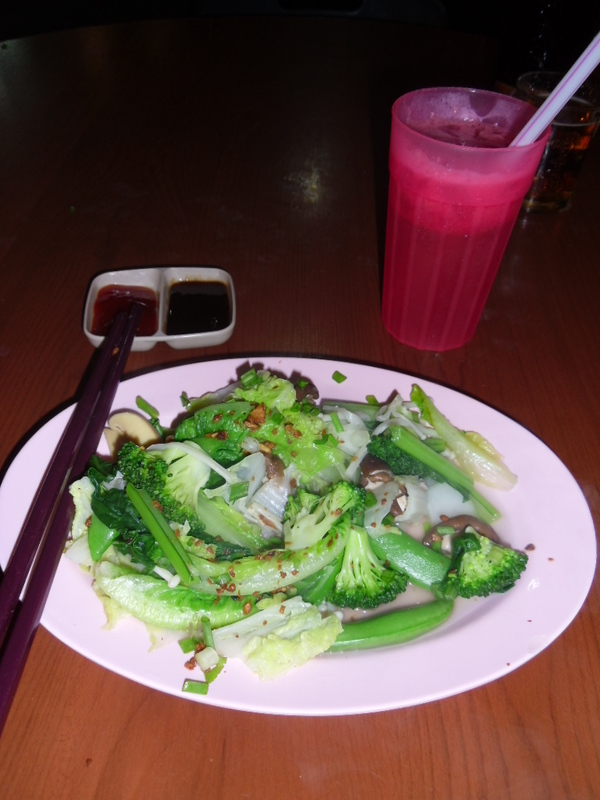 However,our personal favourite is the Viva local food haven in Tanjung Tokong. From Georgetown take the 101 bus and get off two stops after the big Tesco. Bon appetit! looks good Bez – will have to try to pay you a visit ! Cheers mate, you’re more than welcome you know that! A man of your prestigious appetite would do very well over here! I can’t wait to visit Penang next year. Thanks for the tips. You’re more than welcome Jasmine. I’m going to be working here for a couple of years so I will probably blog about various other places to visit in Penang so keep on eye out for them! Love the travel blogger culture! I’m a bit past that now. We arrive in Penang via cruise ship on my birthday (53 this year–eye roll). If I may ask, is it possible to step off the ship and easily find our way into Georgetown? If you had 1 insider tip to share, what would it be? The ship will dock in Georgetown. From there to the main tourist spots in Georgetown it’s about a 15-20 minute walk. As for an insider tip; can you tell me how long you have in Penang? If it’s only a day (like most of the cruise ships) I’d recommend getting on the hop on hop off bus which goes around the island. Inside Georgetown, try to find a cafe called China House and if you are there in the evening check out a hawker centre called Red Garden. Hope this was useful. Let me know how you get on! We’ll keep an eye out for China House cafe in Georgetown. I had heard reports that the HOHO can be quite congested and hard to hail?